I'm guessing it was little different than the European Delivery that is available now, except it wasn't meant explicitly as a tariff dodge. Or maybe the good ole days where you could knock on BMW factory door and maybe buy one direct?? During the ‘02 era, you couldn’t buy a Euro version if you expected to take it back to the States, unless... you were willing and able to pay for the “Federalization process”. “Federalizing” a single Euro-spec car was far more expensive than buying the U.S. version. You would also be on your own to arrange shipping, although most people Federalizing Euro-spec cars went through an agency or company specializing in the processs — and, you guessed it, charging a fee for said services. At the same time, multiple organizations were permitted to sell brand new (U.S.-spec) cars to U.S. servicemen serving abroad, providing very substantial discounts and generally facilitating transportation of the car back to the States. There were certainly some exceptions to the “buy U.S.-spec” rule, but besides bumpers, sidemarkers, instruments, license plate lights, etc., the Euro-spec engine in that Euro-spec model was going to be subject to private testing and certification — that you were paying for — and it wasn’t going to even pass! So, 99% went with U.S. models. Look for an under hood sticker that states about complying with the Feds. 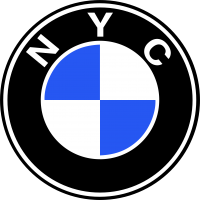 If done at the factory, it will be of the BMW style stickers. Sometimes on the drivers door. It wasn't quite like that in Italy. My wife's grandfather was there in the 80s working for an American company. When he was getting ready to leave, he talked to a dealer about ordering a new car and taking delivery of it in Italy, then having his company cover the costs of shipping it to the states. This worked out to be much cheaper than buying the new car in the states when he got back. So he picked out what he (his wife) wanted, and the dealer tried to talk him out of the automatic transmission. After losing the battle he said he would try to order it but he wasn't sure if he'd be able to get one. He gave grandpa a loaner to drive while the new car was on order. After about 6 weeks, Grandpa called and wanted to know what was going on with his new car. The dealer asked him how he liked the loaner. Grandpa told him it was fine, but that's not why he called. The dealer sounded disappointed and said he would get back to him. Weeks passed. Finally the dealer called back and said "I'm really sorry about this, I hope you understand. I tried to pull some strings, but the rule is if you want a handicapped car, you need a letter from your doctor stating that you're handicapped." In Italy, cars equipped with automatics were reserved for handicapped people! If you are feeling like you don't need another project it is probably because you don't need another project, and this is a project. Do yourself a favour, help him sell it. I have a 1975, not a super desirable year, but still worth a good chunk of change. For me, it was perfect for a resto-mod. It had the turbo body kit on it already, so I don't feel bad doing what I am doing to it. A roundie is a whole other matter. If you are in FOMO mode, then pay him what it is worth for its parts $2-3K, take it home. If you can salvage it, then great. If not, sell the parts on the forum and help out others, the car will live on in its parts. Spoke w/ Uncle last night about the car and this very question.. Seems i apparently misunderstood the story. He was in Germany and upon return, purchased the car stateside.